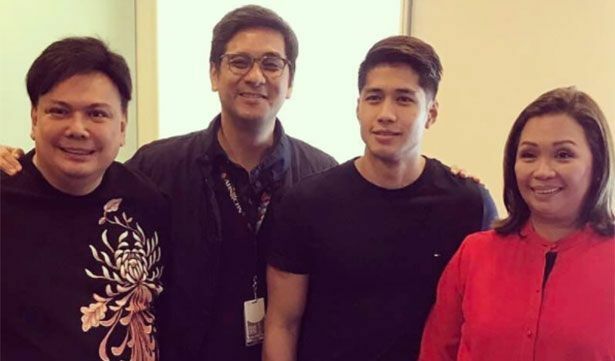 According to a news article, the 27-year-old former GMA artist visited ABS-CBN big bosses head of TV production Laurenti Dyogi, Dreamscape production head Deo Endrinal and ABS-CBN chief operating officer Cory Vidanes on Monday, July 31. A report on the morning show Umagang Kay Ganda on Tuesday, August 1, confirmed that Aljur signed a contract with ABS-CBN although some details such as the period covered and how much it costs were not revealed. A source said several projects have been lined-up for Aljur Abrenica, who will also start appearing on various programs of the Kapamilya network soon. Meanwhile, rumors from netizens on social media said the actor actually auditioned for the role of Efren in the much-anticipated movie Darna starring Filipino-American actress and model Liza Soberano. The fantasy film is slated for release next year. Aljur's career in showbiz began when he joined the reality-based talent search show "StarStruck" in 2006. His 5-year contract with the Kapuso network expired last March.